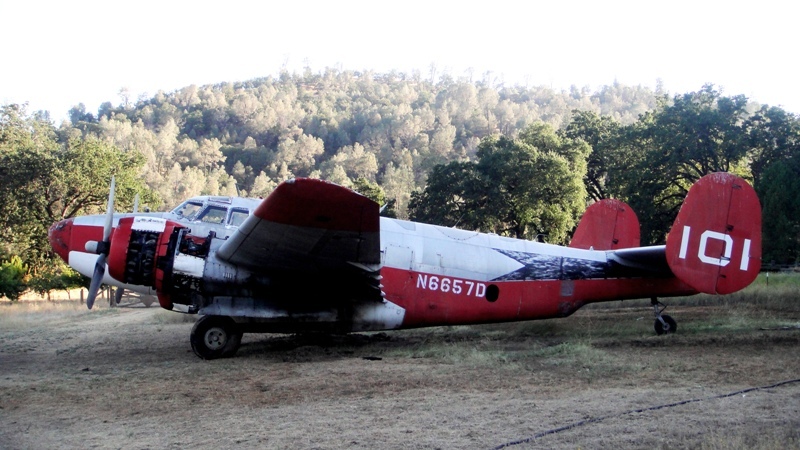 We recently took on the challenge of resurrecting an old air tanker that has been sitting since 1994. 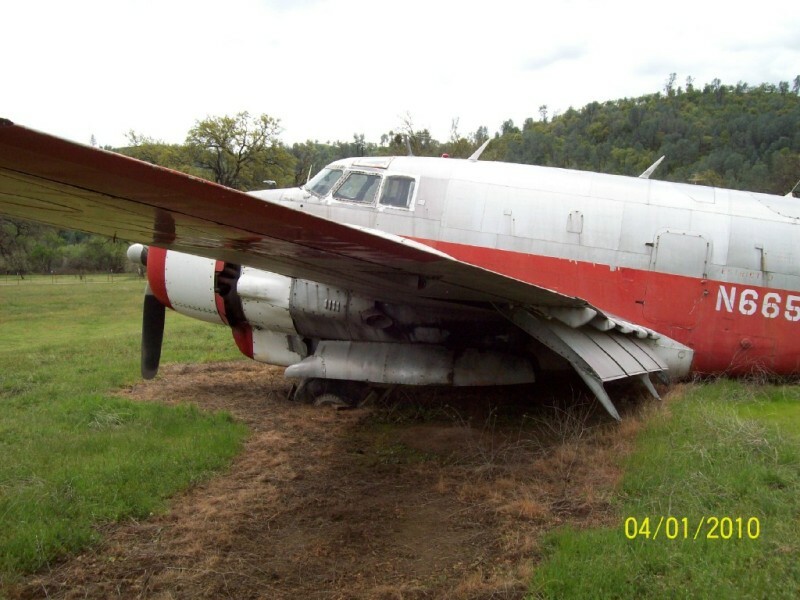 The land she was sitting on was sold and if this old warbird/air tanker wasn't moved soon she would be cut up and scrapped. 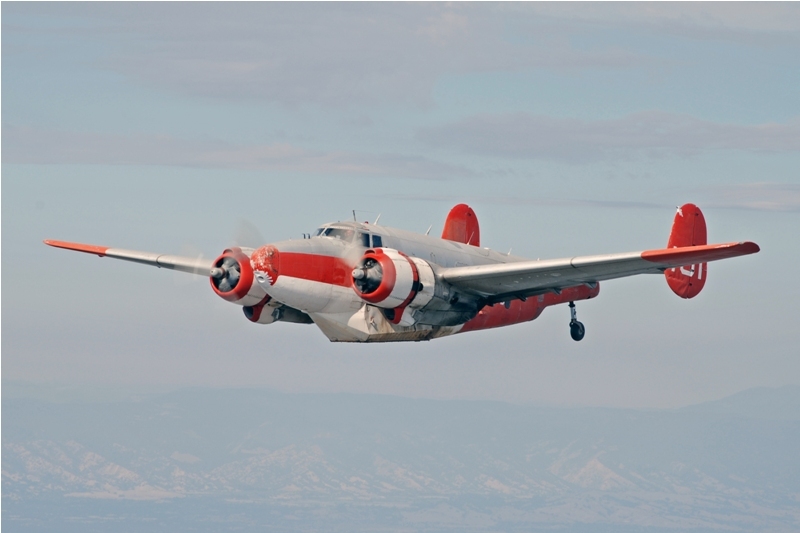 I went to take a look at the Harpoon and as ugly as she was she still looked beautiful to me, and to the guys that work for me here at Vintage Aircraft. She had sunk into the ground so far that she was resting on her belly tank. Amazingly enough the tires held air and rolled her out of the rut she was in. Thanks to a remote location she was unmolested by humans for the last 16 years. She even had her original WWII Navy 8 day clock still in the updated instrument panel. Even though she was untouched by humans, she was a home to a variety of other creatures. The oil coolers were a high rise condo to countless leaf rollers. There was also a family of ground squirrels living in the right wing. It took a while to get them all out and we are still removing what they left behind. The environment where the harpoon called home was mostly warm and dry so even though there was surface rust on the steel fasteners there was little corrosion. We flew up in the Twin Beech to work on the Harpoon which was about 84 miles as the Beech flies each way. The Twin Beech was great for this job as a sky truck hauling all of us and our tools, parts, fuel and oil. We made about a dozen trips in the Beech and one in the van/trailer hauling the big wing jacks for the gear swing. Check out Ricky as he seems to be startled by the engine firing up! Too funny. 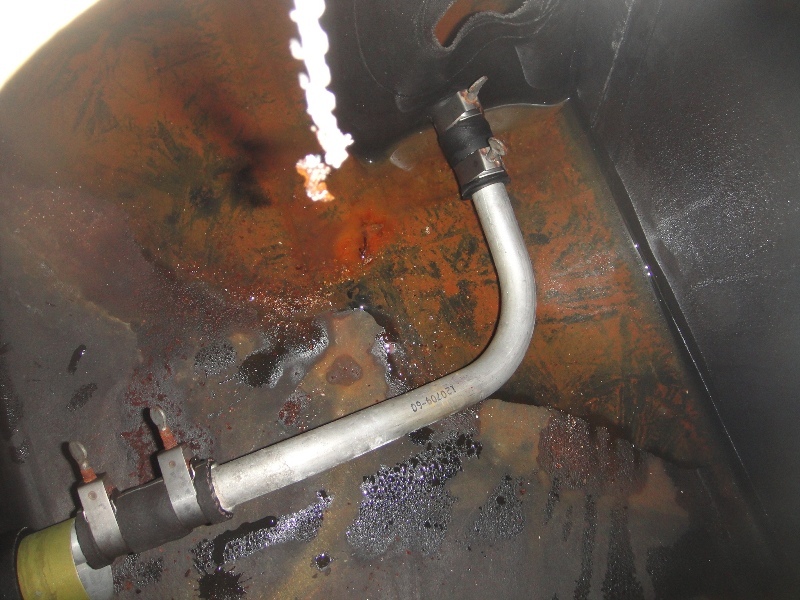 We needed a boost pump for the right fuel tank as water the tank had rusted the pump pretty badly. We replaced that pump and were able to run the right engine on day two. So far so good. Both engines ran okay but the right didn't like going much above 1600 RPM. 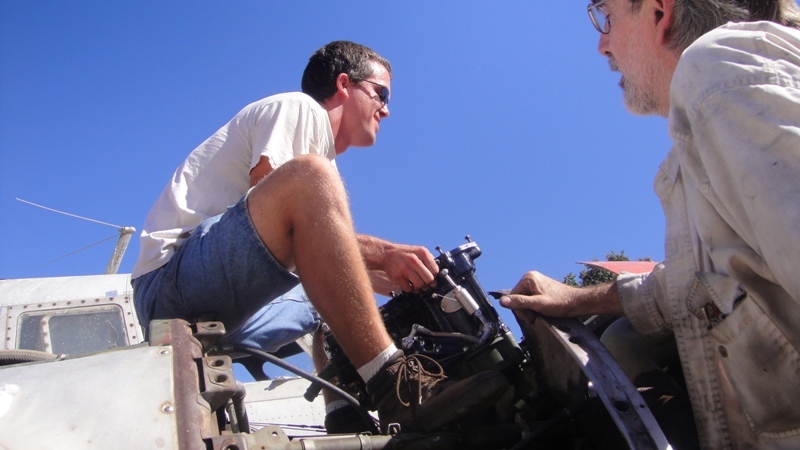 Both of the carbs were overhauled just before the Harpoon was flown to California in 1994 so overhauling the carbs was likely going to be mandatory and the corrosion found in the right carb screen made the decision pretty easy. Off to Aero Accessories they went. 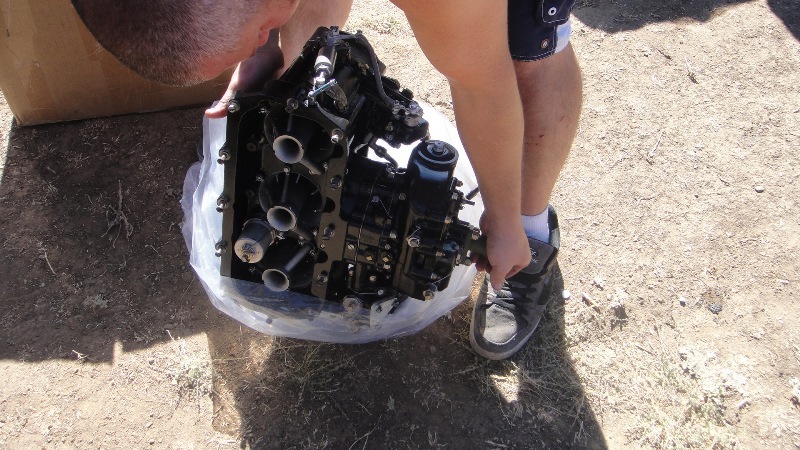 The fresh overhauled carbs sure looked pretty, especially next to the crusty looking engines. New wheels, brakes, tires and tubes were found and built up. They also looked awesome and worked even better. There were a few weeping seals on various hydraulic components but for the most part the system was tight and held pressure. 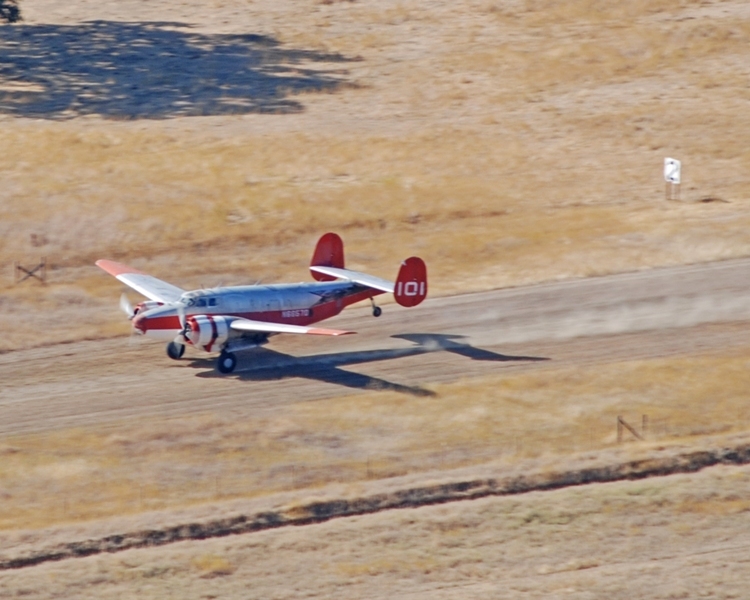 The flaps worked flawlessly and silently which is a great contrast to our PV-1 Super Ventura project. With the new carbs, wheels and brakes it was time to drive her around and that was a lot of fun. She sure kicked up some dust. 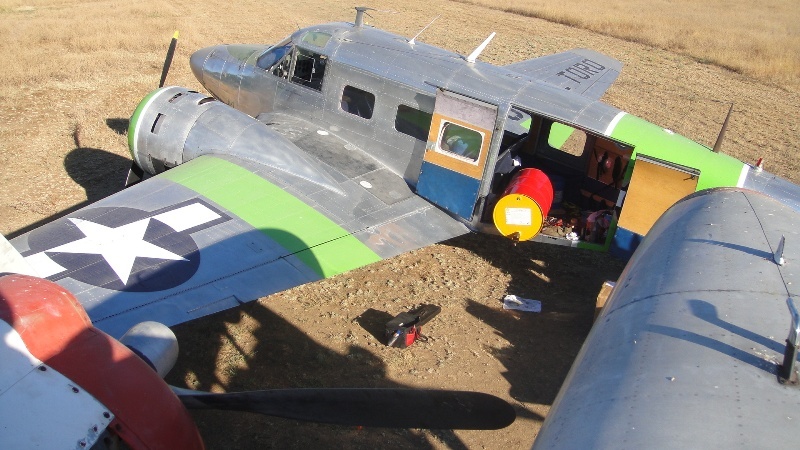 One of our runs was done with the leading edges between the fuselage and engines removed. 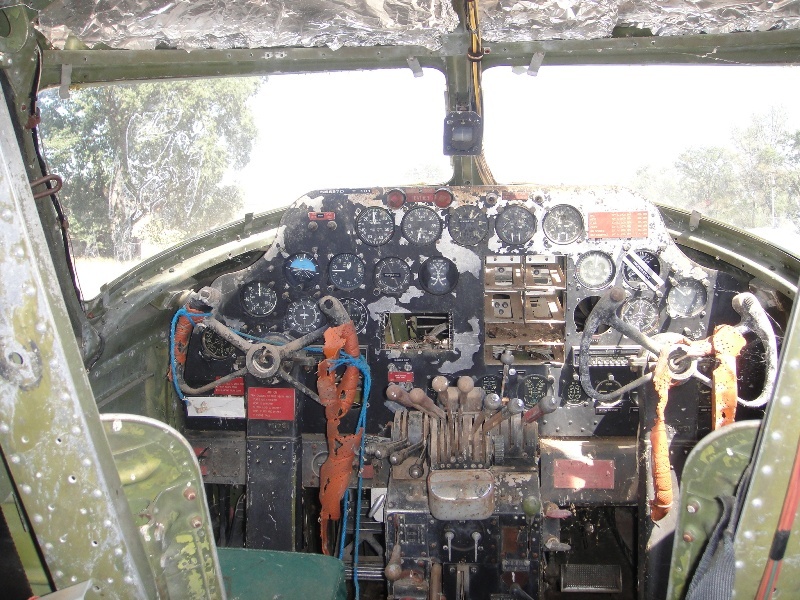 While scooting down the runway at a good clip all of the crap that was kicked up by the props went wight in the open leading edges which ported right under the pilot and copilots seat. While pulling 42 inches down the runway I was smiling from ear to ear and spitting dirt and crud out of my mouth at the same time. Time to get the shop vac out once again! The power runs were great although we found a lot of carbon in the right oil screen. 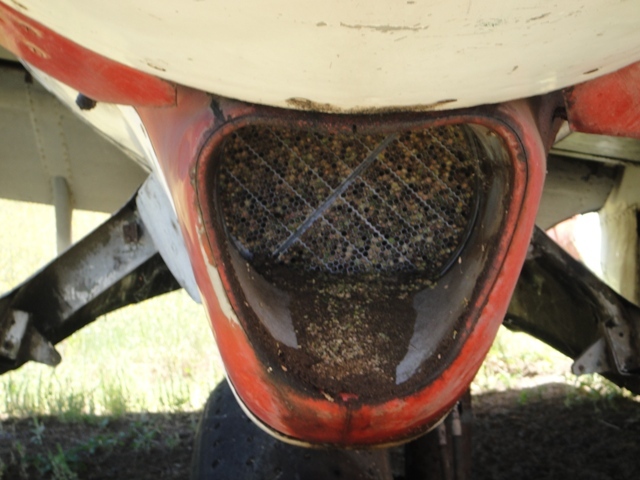 We dumped the oil and installed an oil filter to catch any more carbon that might be swimming around which worked as the screen was clean the next time we checked it. After prepping the rest of the airframe it was about time to fly the beast. 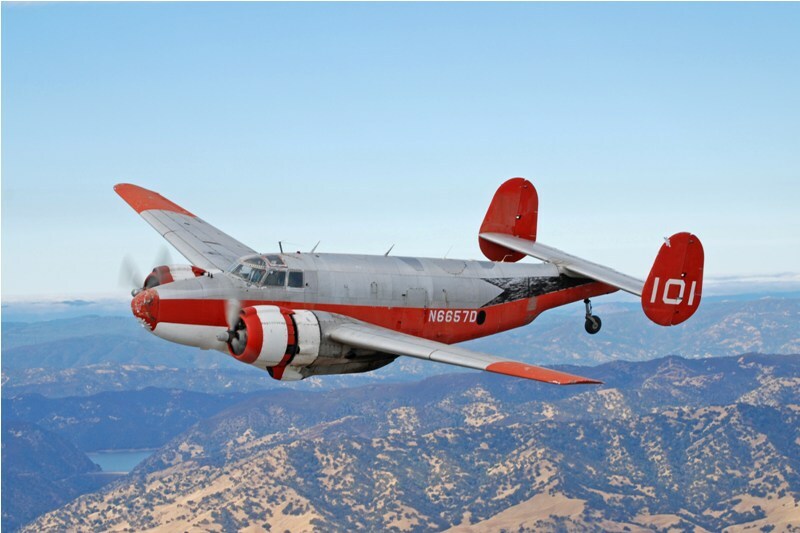 I had been working with our local FSDO (FAA Flight Standards District Office) about getting a Letter of Authorization (LOA) so I could fly the PV-2 myself. Since it is over 12,500 pounds gross weight (33,000 actually) it requires a type rating which I don't have. 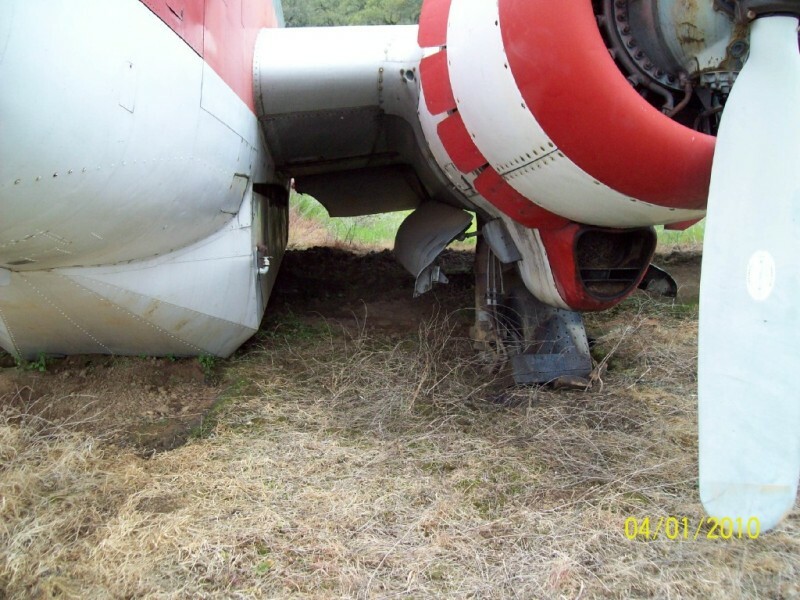 There is a regulation in the FAR's that allows for an LOA in lieu of a type rating for ferry, maintenance and flight training for those who can demonstrate collateral experience that would allow for the safe operation of the aircraft. 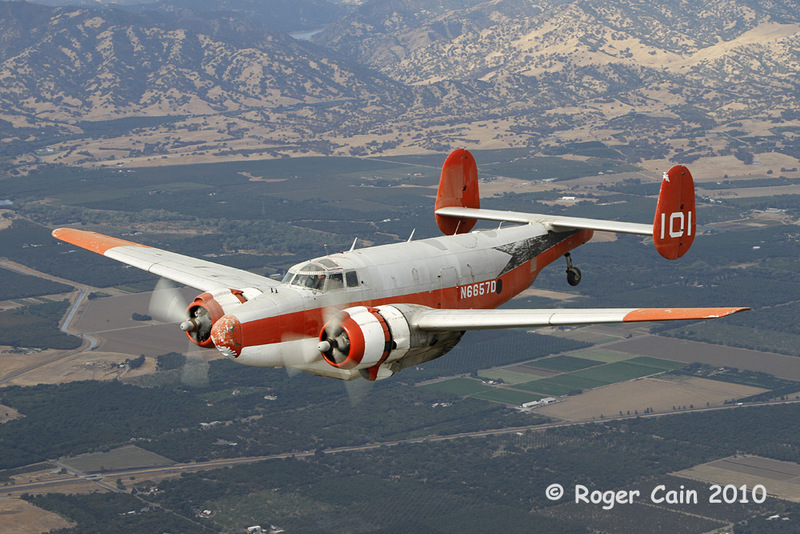 I have a type rating in a B-25 only with limited time in the DC-3, B-17, B-24 and some PV-2D time 20+ years ago in my friend Doug Lacy's Harpoon. I think the 3500 hours in the Twin Beech is what helped the most. After the Beech the Harpoon feels like a heavy, slower responding version of about the same aircraft. I am looking forward to getting to know the Harpoon a lot better. My local FSDO tossed my request around for two weeks and then decided that I should talk to Sacramento FSDO as the aircraft was in their district. The SAC folks were very nice and were familiar with our shop and work and were very helpful and issued the LOA and a ferry permit immediately. With the paperwork all in order it was time to get her back in the air. 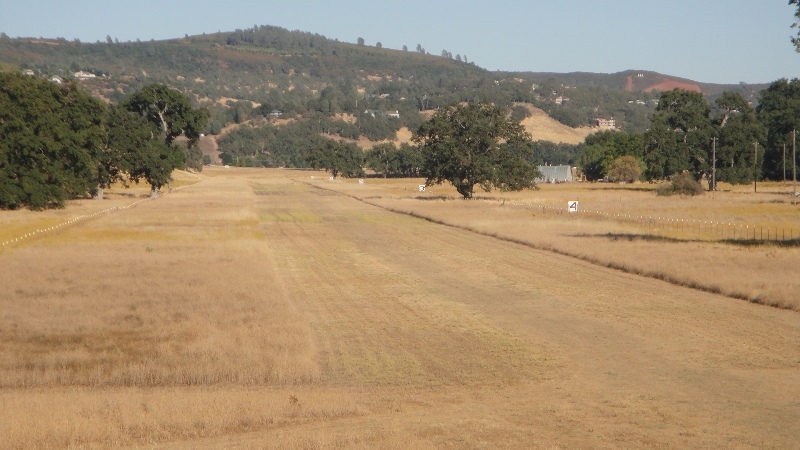 Here is a shot showing the dirt runway and the trees down each side especially the right. The hill up ahead and the fact that there are a lot of houses just off the end of the runway necessitated a pretty good right turn just after the last tree on the right. Here we are on the take off roll. 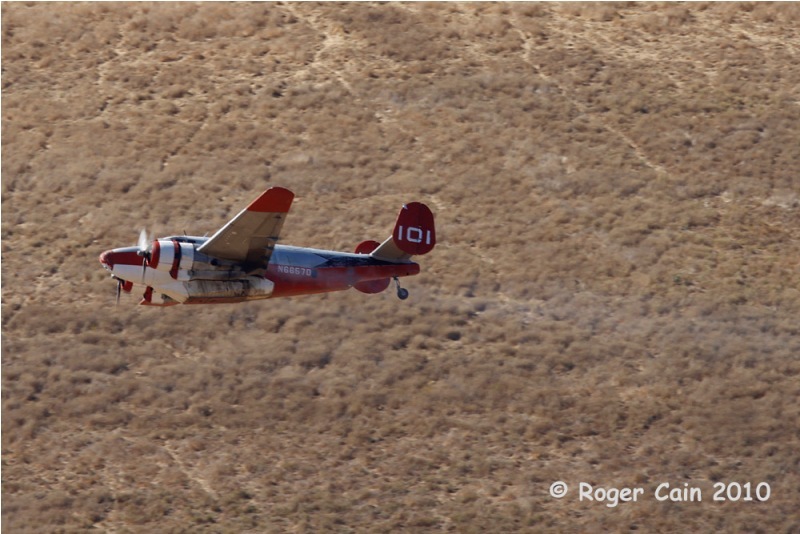 Jim Dunn took this shot and the other air to air and air to ground shots except for the ones Roger Cain took with his credit line on the image. Thanks guys for the cool photos, as usual. 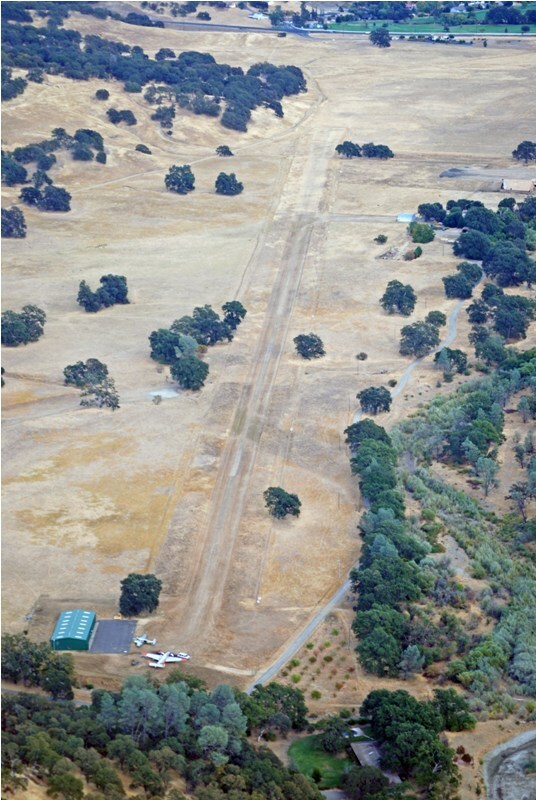 Here is the right turn after the end of the runway. You can see the smoke from the left engine which cleared up shortly after takeoff. 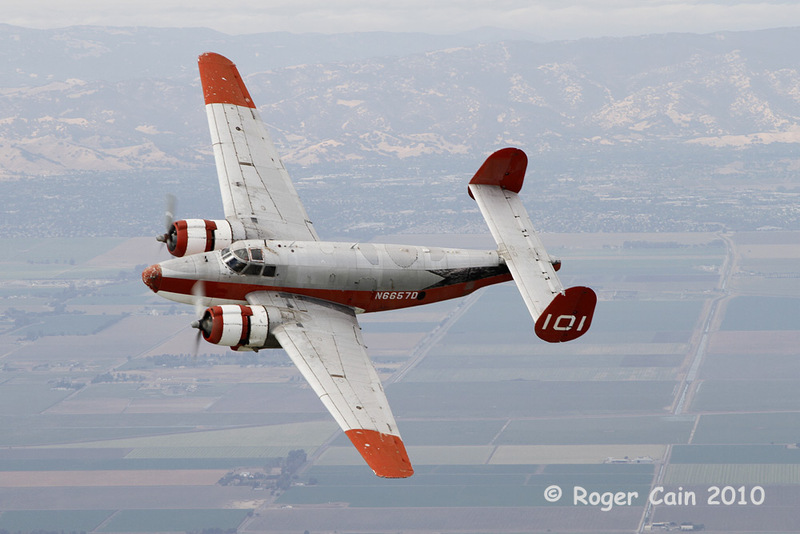 Some awesome photos taken by Roger and Jim from the Beech on the way to Stockton, CA. 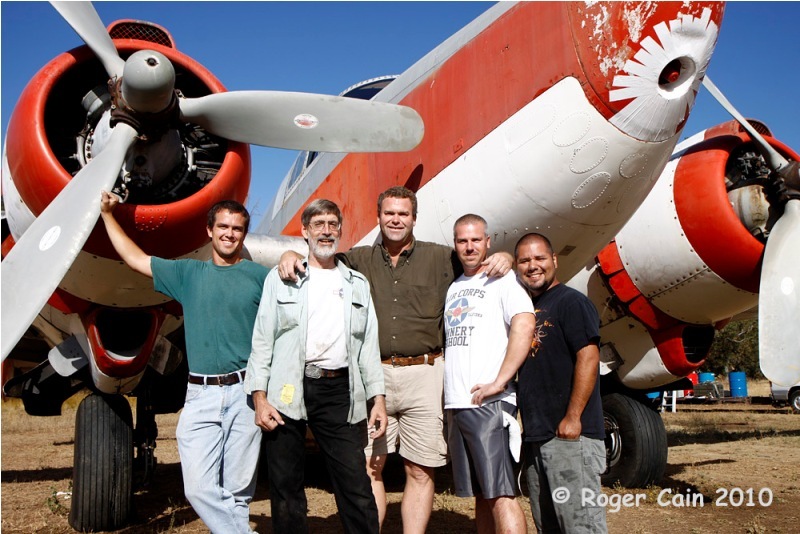 I am so proud of my crew at Vintage Aircraft. They are wonderful and this is just the latest example of what they can do. I think there isn't anything they can't do once we commit to it. Well done guys! I also want to thank Cliff Everts and Marty Hall for their generosity and help in saving this great old Harpoon. 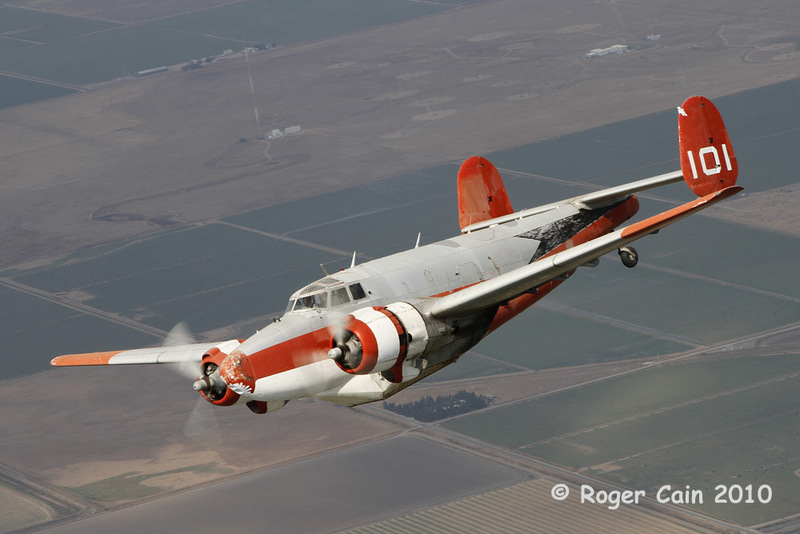 All donations are tax deductible as the Stockton Field Aviation Museum is a 501c3 nonprofit organization. Tell a friend as the Harpoon needs all the help she can get. Last edited by Taigh Ramey on Thu Apr 20, 2017 5:42 pm, edited 1 time in total. Wow, awesome story Taigh! Thank you for saving one of our forgotten warriors. So are you guys the new owners of this aircraft or did you just recover it for someone else? What is going to happen to the Harpoon now? Great good news story and photos. Does you heart sit in your mouth the whole time you are flying a plane that has sat on the ground for that long or had you seen enough in the preparation work to know that she would be OK? Man, you guys sure work fast. It doesn't seem as though hardly any time has passed since you first got in touch with us, and you were just starting the process. It's just great to see another rare old Harpoon in the air again. And a D-model to boot; I guess you have the only one of those that's flown in over a decade, now. Great pictures, great story, and way to go to you and your team! Bravo Zulu! Great Job! Tri-Color Navy paint coming next? Now to have a script writer do a Movie about the 'Poons of Alaska! With three flyers, wouldn't even need a bunch of CG. This whole thread is just awesome. I wish there were MANY more threads like this. The whole thing has an air of adventure to it. WELL DONE! The recovery, the video - everything! The shots from the left vertical stab are simply outstanding. 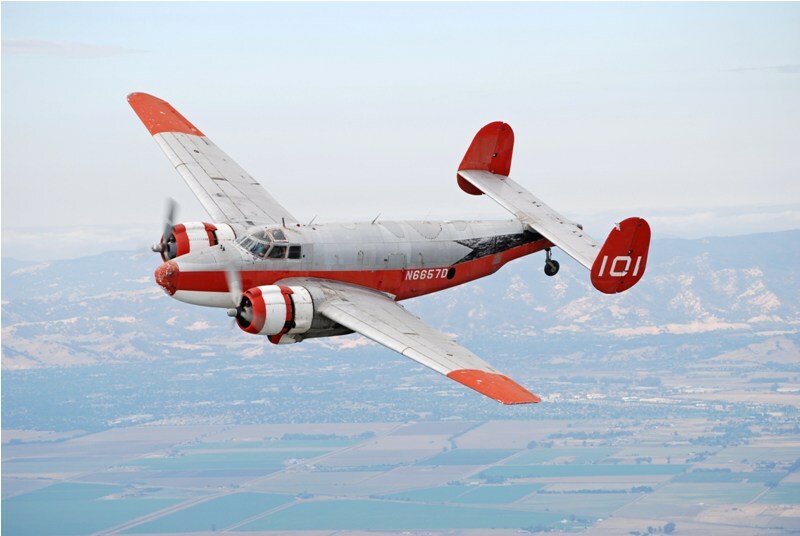 In the short term, touring her in her present scheme and configuration as an example of why many of todays warbirds survive might not be a bad idea. Again, OUTSTANDING job and thanks so much for sharing! 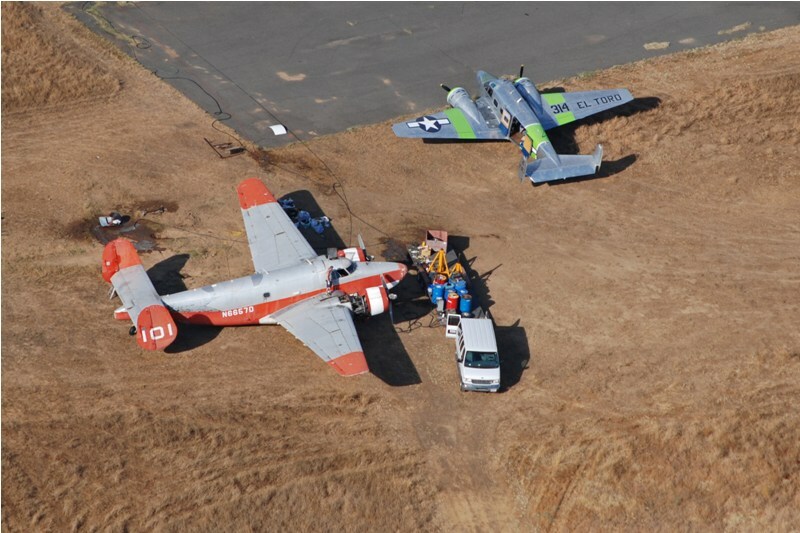 Great work Taigh & Vintage Aircraft! As Colonel John "Hannibal" Smith from the A Team would say, " I Love It When A Plan Comes Together". Great job Taigh. I was getting flashbacks from the first time we flew our B-23, after it had sat on the ramp in Lafayette for years. Keep up the good work. Great job Taigh and team! I agree with Holedigger that a movie about "The War Up North" starring Harpoons. Those folks need to have their story told. This is truly awsome! I very happy for you and your guys, great job! After all of the Harpoon work that I have done, it is great to see it out flying. In reguards to what you called me about a few weeks ago, you will like the answer, will call with details. Now THAT'S the true spirit of the warbird movement in action! These are my favorite kind of stories by far. I'm so glad you guys had the resources and the will to pull off the recovery. Just the fact that you guys worked to fly the plane out rather than break it down onto a truck says a lot about your operation. So much better welcoming an airworthy plane into the hangar than a load of disassembled components. 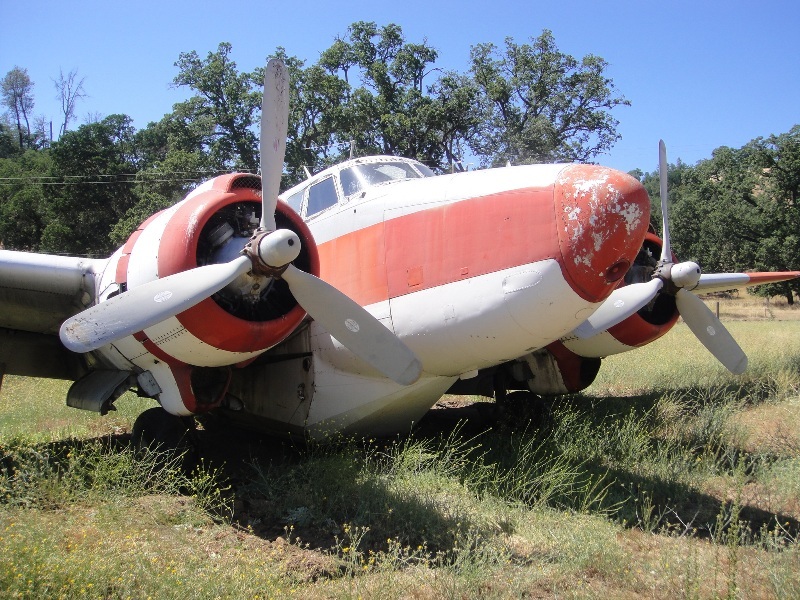 Best of luck getting her properly refurbished and solidly back in the skies for the long term!